Legendary UCLA basketball coach John Wooden knew a thing or two about success. He also knew how important small things are to the big picture. “It’s the little details that are vital,” Wooden once said. 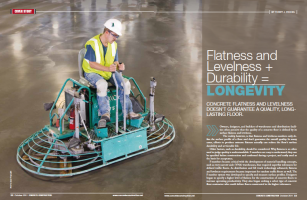 “Little things make big things happen.” That rings true for a variety of things in life; concrete floors are no different. 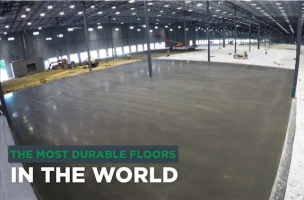 The seemingly smallest details in your concrete floor can have a big impact when it comes to its expected lifespan. One of those important details is the concrete floor joint. 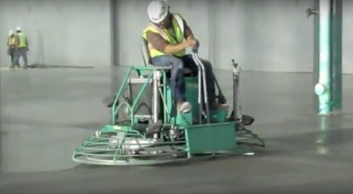 These joints should be designed to withstand the abuse of forklift traffic, improve floor durability and reduce future repair costs. Joints with proper attention to detail are supposed to be durable, but there’s always the potential for deterioration over time. So what do you do about it? You familiarize yourself with common defects, conduct thorough inspections and implement a proper maintenance program. Joint filler separation – A separation void in the joint filler that’s the width of a credit card or greater. Joint fillers collapse – Complete adhesion loss between the filler and the joint edge, which exposes joint edges to impact. Of course, knowing about these conditions and putting that knowledge into practice are two different things. If you want to ensure you catch them before they cause damage, you’ll need to routinely inspect them. Obviously, you need regular inspections to ensure joint defects and deterioration don’t surprise you, but how often should you perform them? The frequency in which you should monitor your joints actually depends largely on material handling vehicle traffic, frequency of traffic and a key environmental factor of temperature or change in temperature..
For heavily trafficked floors, joints in unregulated temperature areas, you should monitor/inspect them monthly. 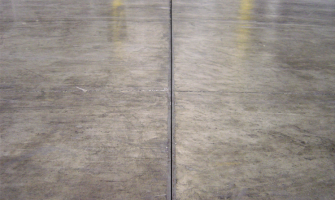 For heavily trafficked floors, joints in temperature-regulated areas, you should monitor/inspect them quarterly. You should also know most common locations for joint problems. They’re most prevalent near loading dock areas, doorways and primary traffic aisles. Keep that in mind as you perform your inspections. After getting to know defects and scheduling inspections, you should come up with a plan for maintaining joints for the life of the facility. While there’s no one tried-and-true specific program for every facility, a consistent maintenance program is vital for keeping a small maintenance item from turning into a costly repair down the road. Some factors to think about when developing your maintenance program: age of the facility, floor design, construction factors, construction quality and current floor condition. It also helps if one person is in charge of the program, from inspections to maintenance. 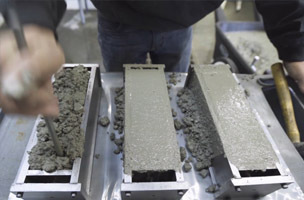 Successful concrete floor joint maintenance is easier than you think. 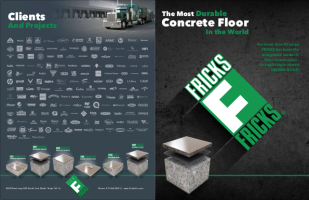 If you’ve hired a dependable concrete floor company, all you need is the knowledge, attention to detail and foresight to enjoy a durable concrete floor system for years to come.